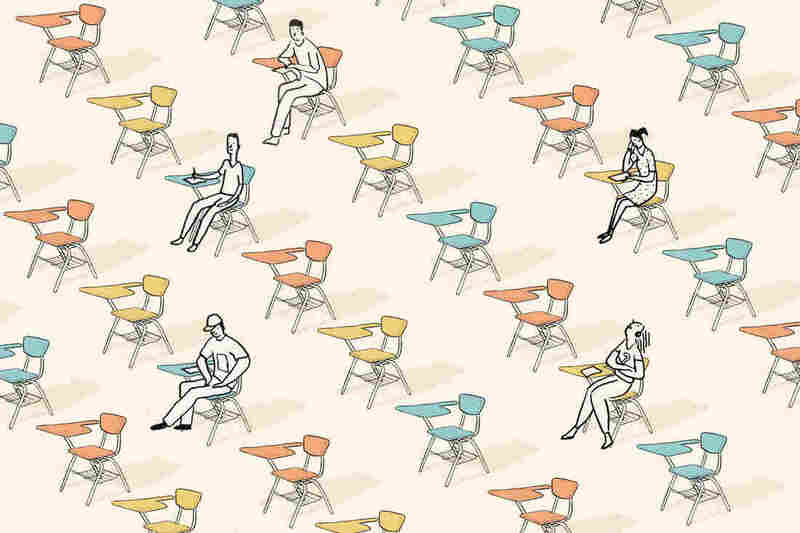 5 Reasons Schools Should Measure Chronic Absence : NPR Ed The new federal education law requires states to measure "student success or school quality." A new paper argues that they should report the number of kids who miss a lot of school. The fifth is the wild card — aimed at measuring "student success or school quality" — and the law leaves it to states to decide. There are many ideas out there for what schools could choose — including suspension rates and school climate surveys. A new report from the Hamilton Project at the Brookings Institution suggests that the best choice states could make, if they really want to make a difference, is to require schools to use chronic absence. We've reported extensively on chronic absence, a relatively new metric for schools that looks beyond the average attendance rate. Instead, they track how many days each student misses — and how many students are missing 10 percent or more of the school year. That's roughly two days a month. And the latest national numbers suggest that more than 6 million students are "chronically absent." "It's a meaningful measure, and improving it would be productive for the students," says Diane Whitmore Schanzenbach, an economist at Northwestern University and one of the authors of the report. Research shows that chronically absent students are way more likely to fall behind and, eventually, drop out. And there's a strong connection between missing class in elementary school and low scores on third-grade state tests. States must decide soon what information they'll send to the feds. 1) It's measurable. Other metrics, like surveys on school climate, are self-reported, making them easier to manipulate. "Within reason, I think we can all agree what it means to be absent from school," says Whitmore Schanzenbach. "So it's easy to measure, it's already collected by most schools, so it's not going to cost much more time or money." 2) With so many students missing so many days of school — in every state — there's lots of room for improvement. 3) Reducing chronic absence improves student achievement. "More kids in the seats means they're learning what's being taught," says Whitmore Schanzenbach. "High absenteeism rates have spillover effects in the classroom," she adds. "If classmates are absent, and the teacher has to go back and review in order to catch those kids up, there's spillover on everyone." 3) Rates of chronic absence differ greatly, so any state should be able to see which of its schools are doing well and which ones need improvement. (The federal law also says there has to be a distribution across schools — so this checks that box.) To see how chronic absence rates break down by state and by grade groupings, you can check out the report's interactive map, which uses the most recent national data. 5) There's strong evidence that schools can control and reduce chronic absence. Specific interventions, like mentorship programs and improved family engagement, can work. We've reported about the school district in Grand Rapids, Mich., that lowered its numbers by using data strategically and working with community partners.